Bonnard, Vuillard and Roussel were lifelong friends and colleagues. 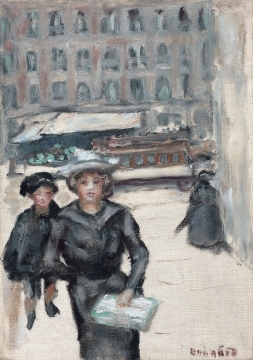 In Paris, Vuillard and Roussel began their careers together as students at the Lycée Condorcet, along with Maurice Denis. 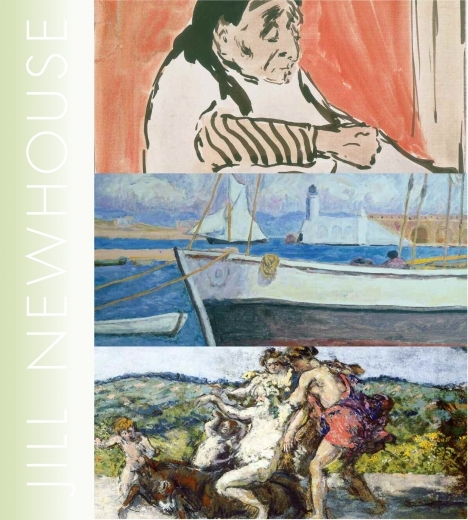 Bonnard and Denis studied the legacy of Paul Gauguin with Paul Sérusier at the Académie Julian. 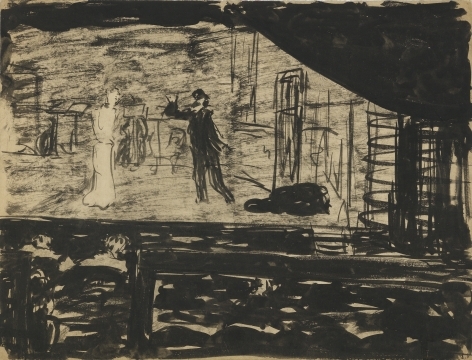 Denis, Bonnard, and Vuillard shared an apartment at 28 Rue Pigalle in the early 1890’s, and Roussel married Vuillard’s older sister Marie in 1893. Most importantly, in 1888, Bonnard, Roussel, and Vuillard, along with Denis, formed the Nabis, and set about revolutionizing easel and decorative painting by declaring the flatness of the painted surface. Illusionistic details were discarded and realism was replaced by suggestion. Pictorial elements evoked the subject rather than depicted it. In this moment, these three painters cleared the way for abstraction at the start of the twentieth century.